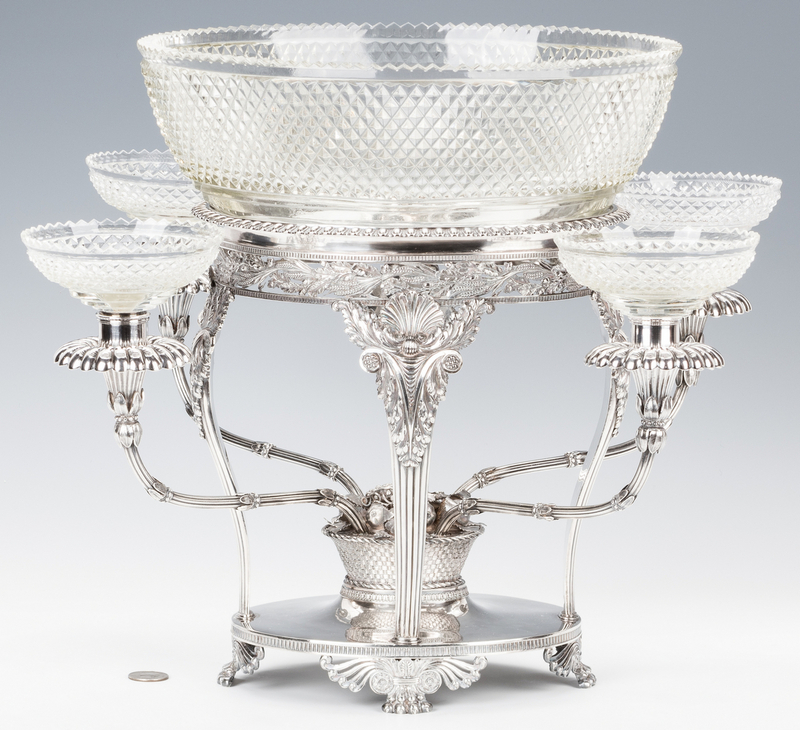 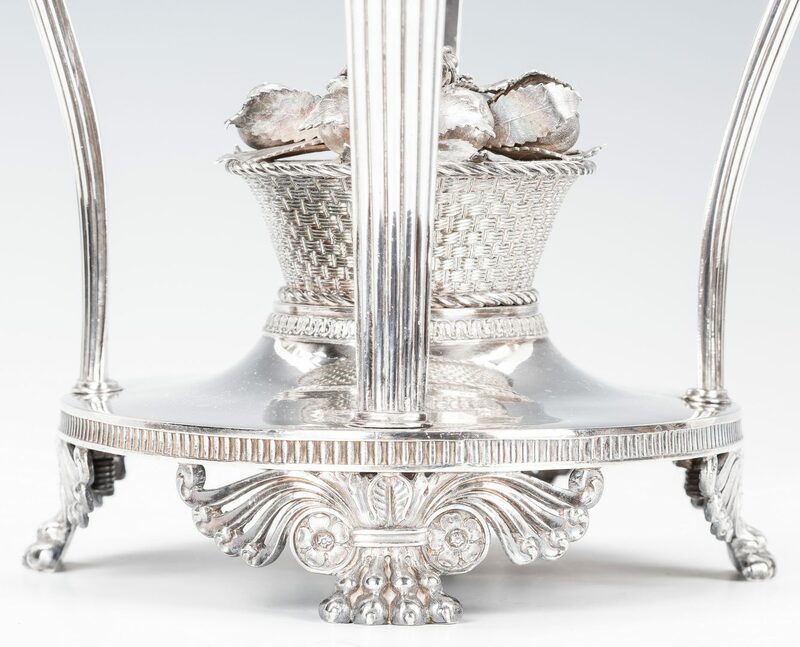 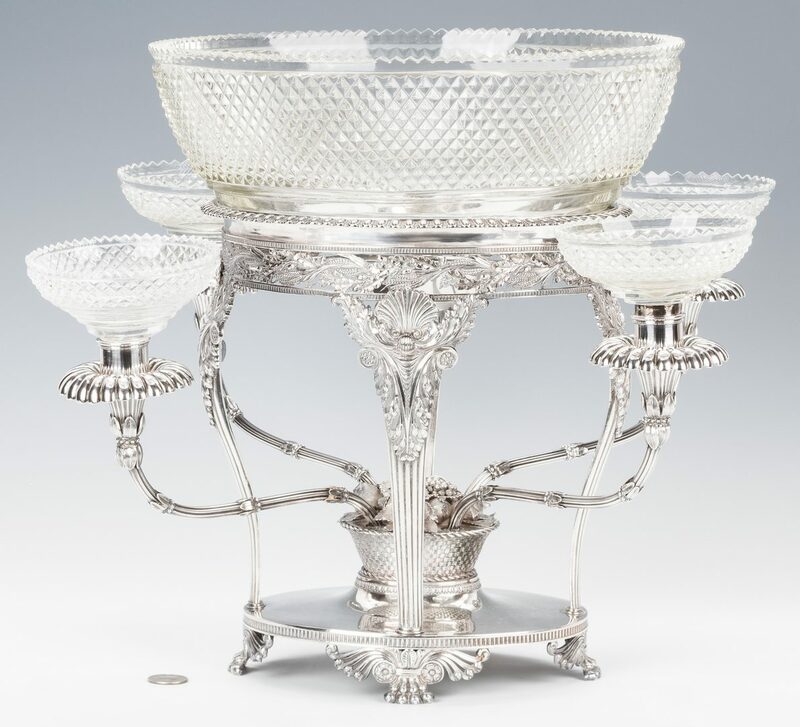 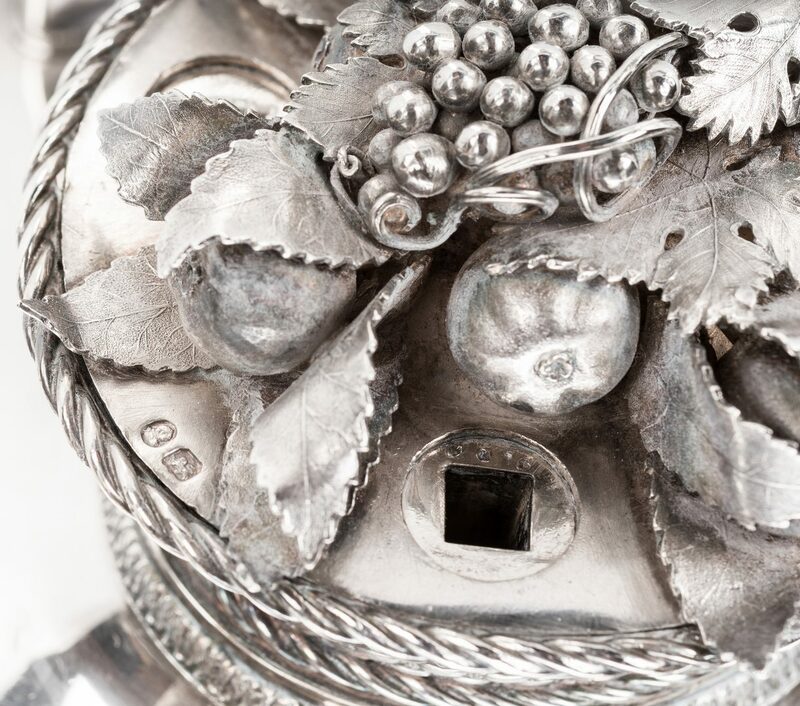 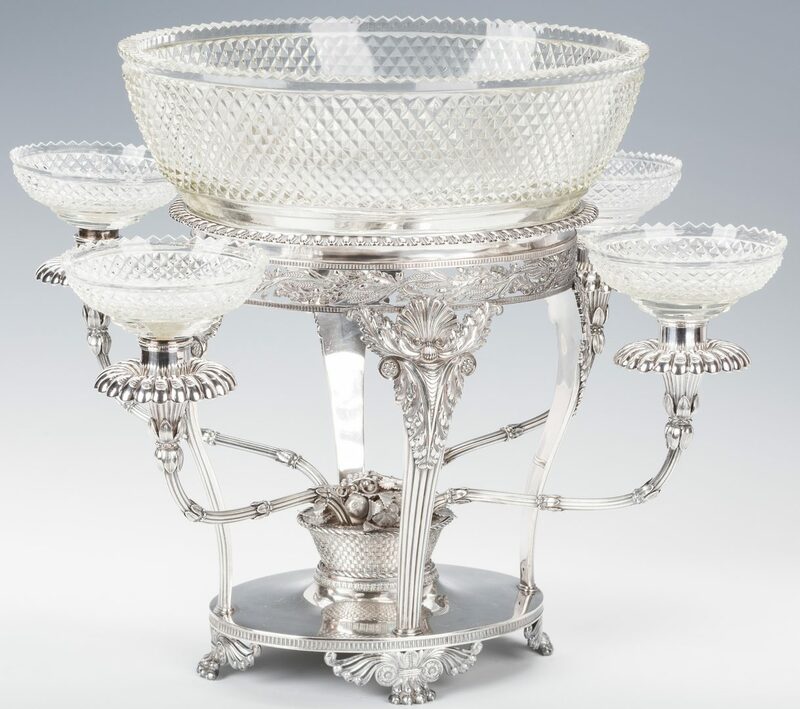 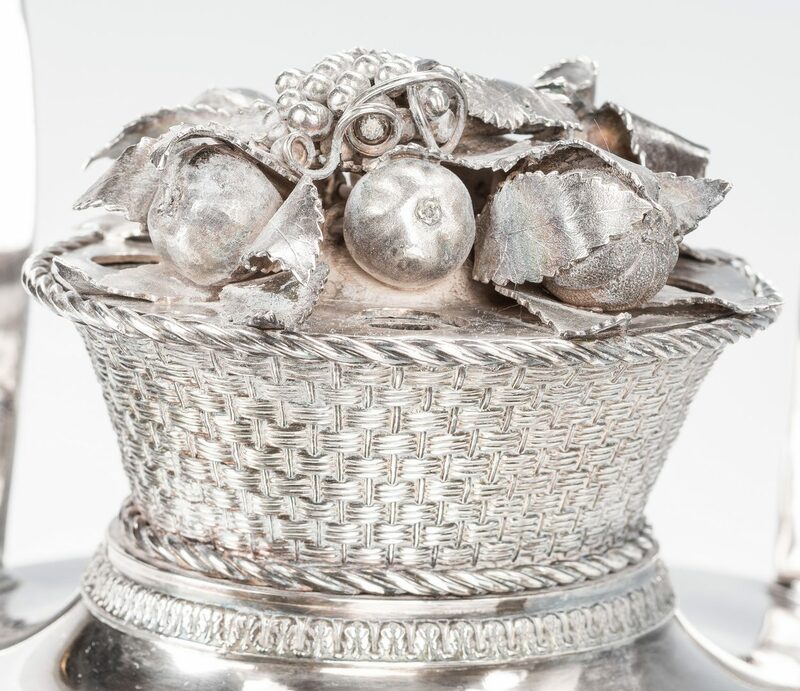 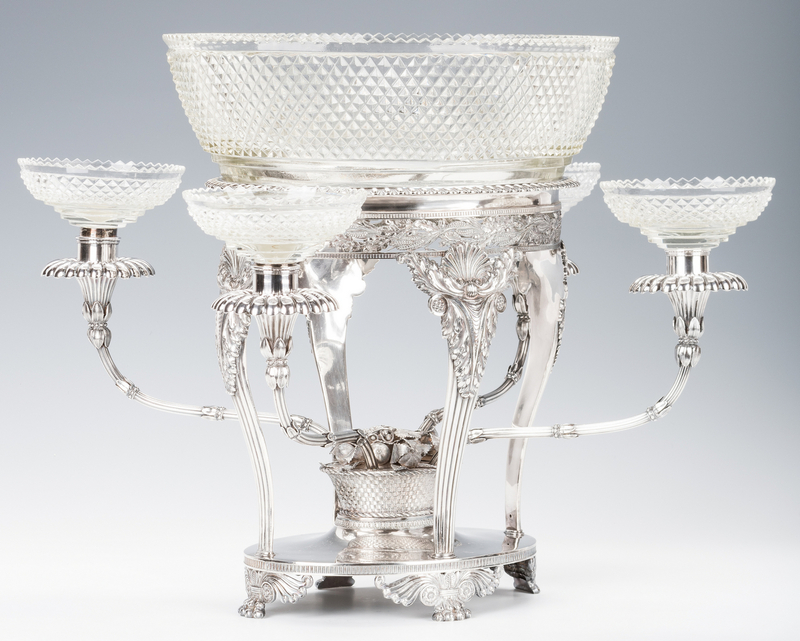 English George III Neoclassical sterling silver and cut crystal epergne with figural silver basket of fruit and flowers. 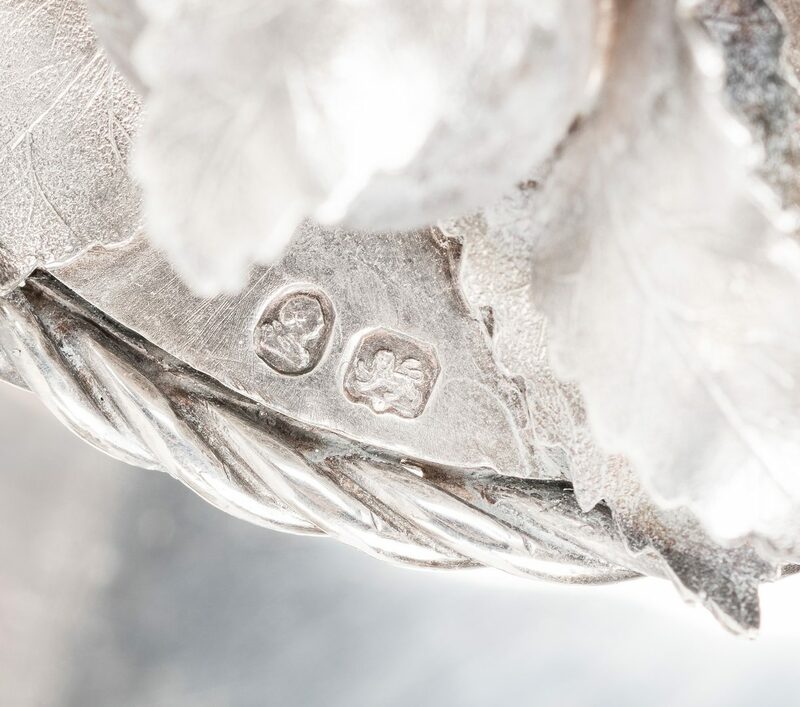 Hallmarks for J. W Story & W. Elliott, London, 1811. 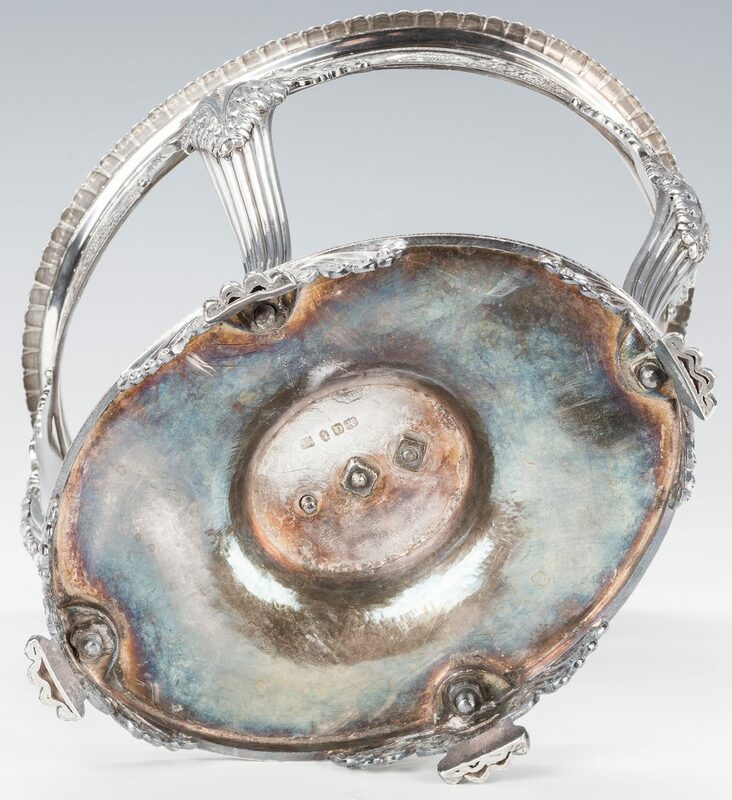 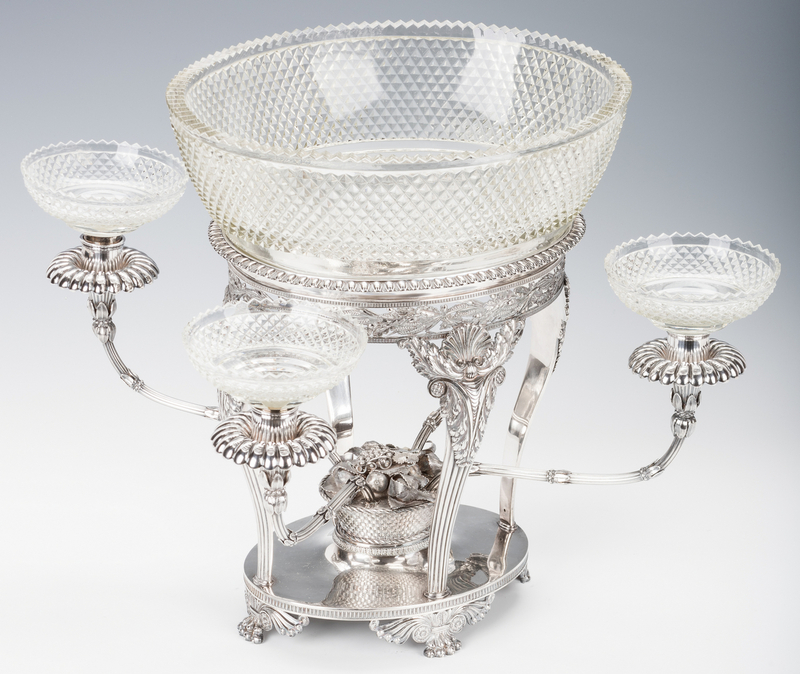 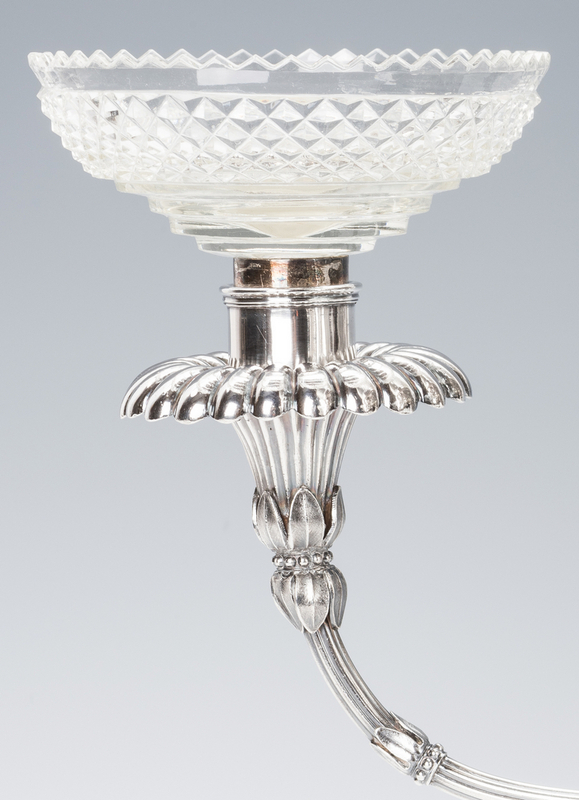 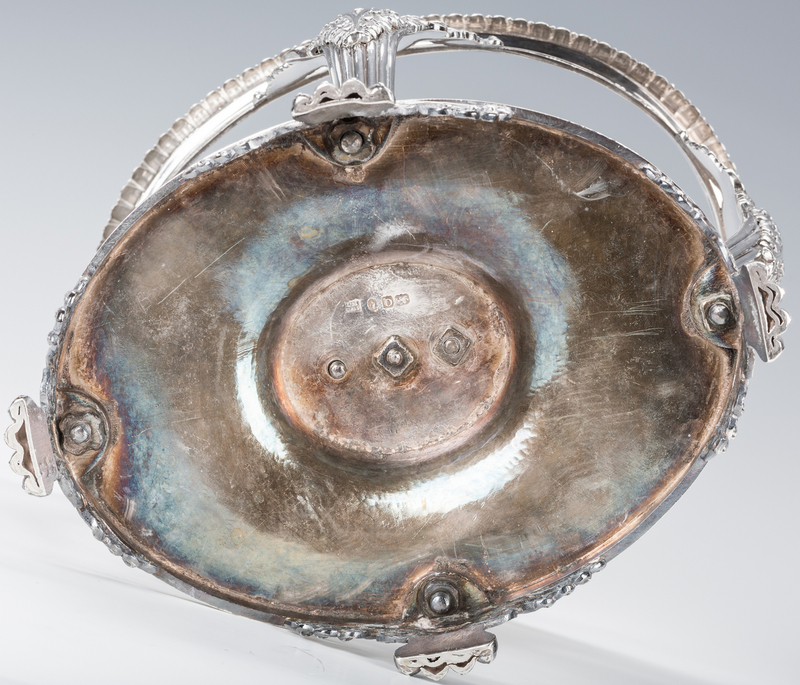 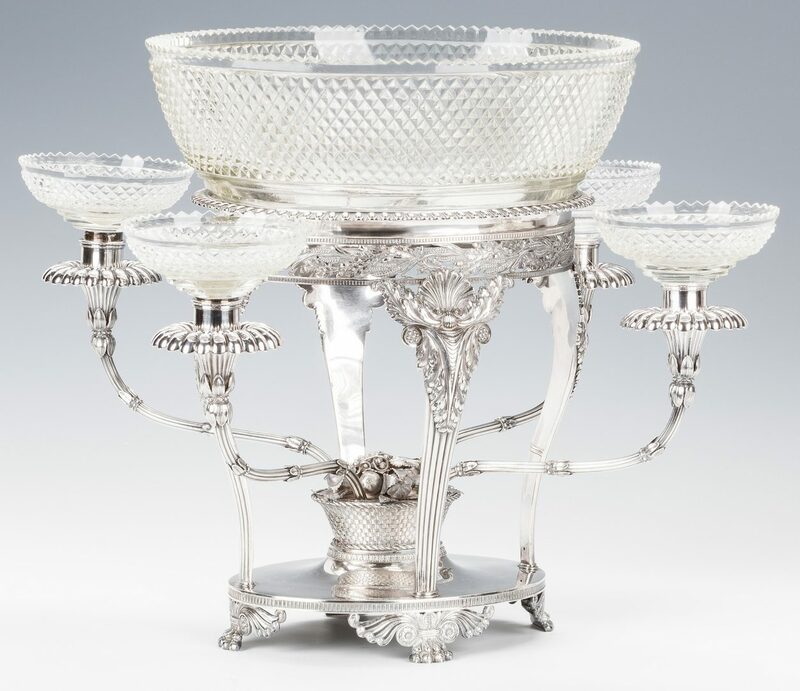 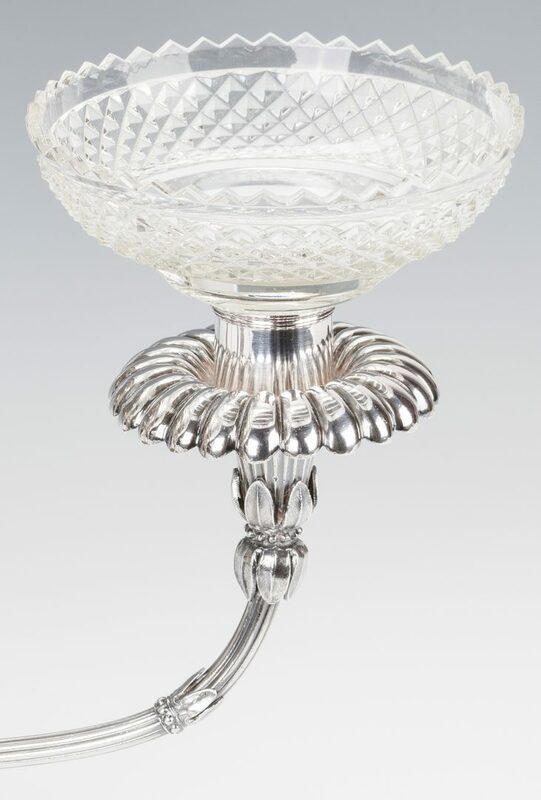 Oval frame with ovolo rim containing a central crystal bowl cut in a diamond pattern, raised on four serpentine reeded legs adorned with shell and acanthus decoration at top and ending in paw feet, joined by an oval medial support accented with a basket of flowers. 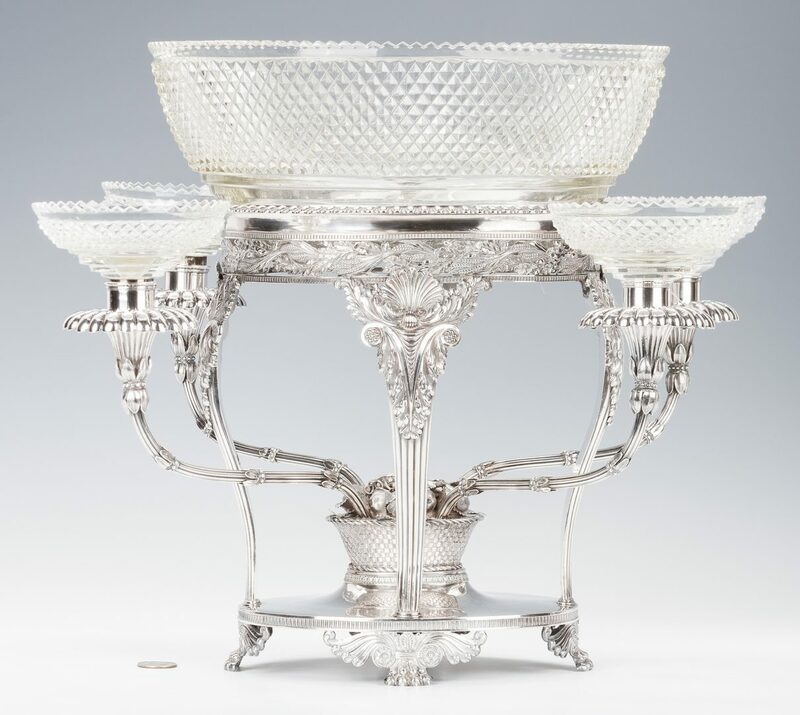 Four serpentine reeded arms issue from the basket of flowers, each supporting a round glass bowl cut in an overall diamond pattern. 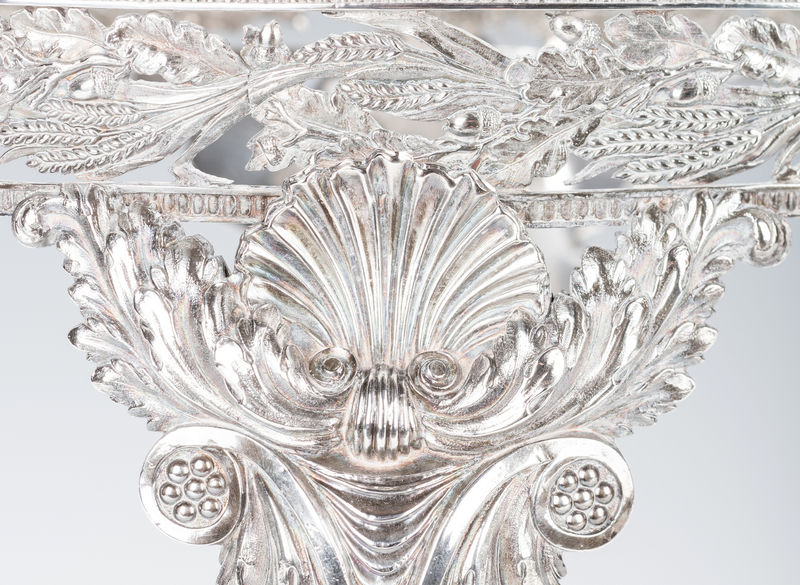 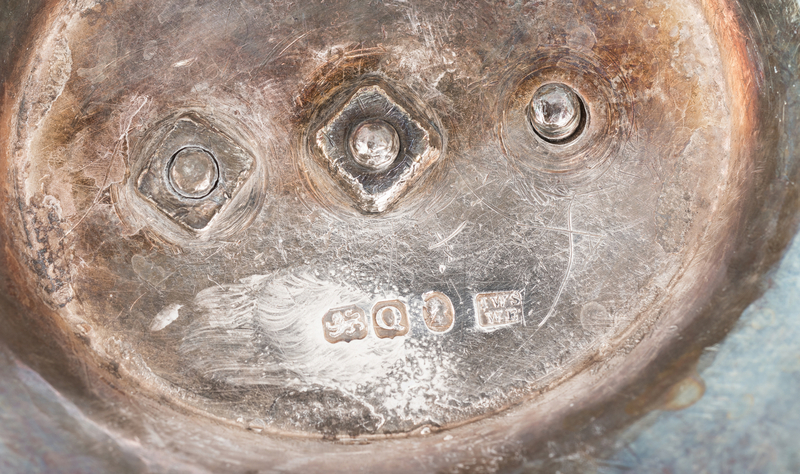 Hallmarks to top edge of outer epergne, fruit basket, underside of base, and serpentine arms. 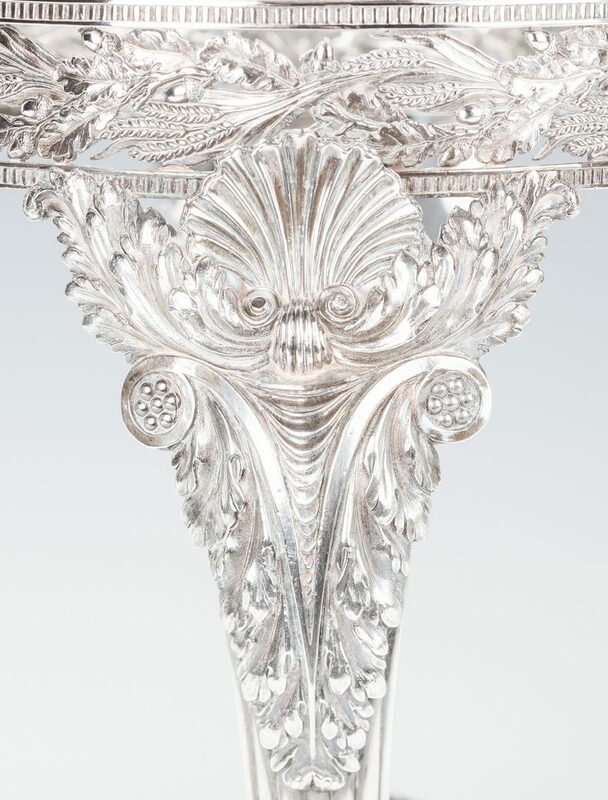 Epergne frame – 11 1/4" H x 19" dia. 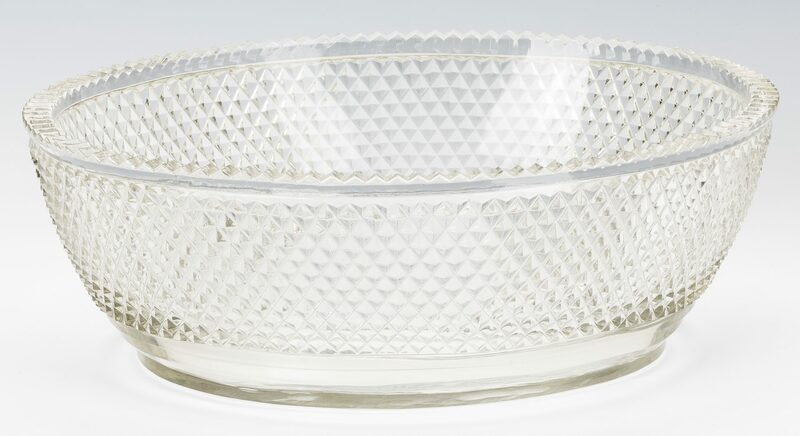 With glass – 15" H x 22" dia. 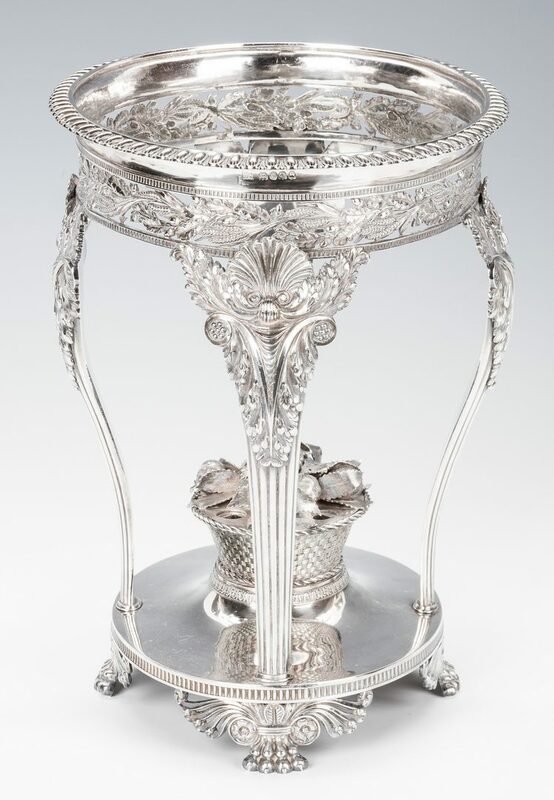 Sterling frame: 113.932 troy ounces. Provenance: Private Lookout Mountain, TN collection. 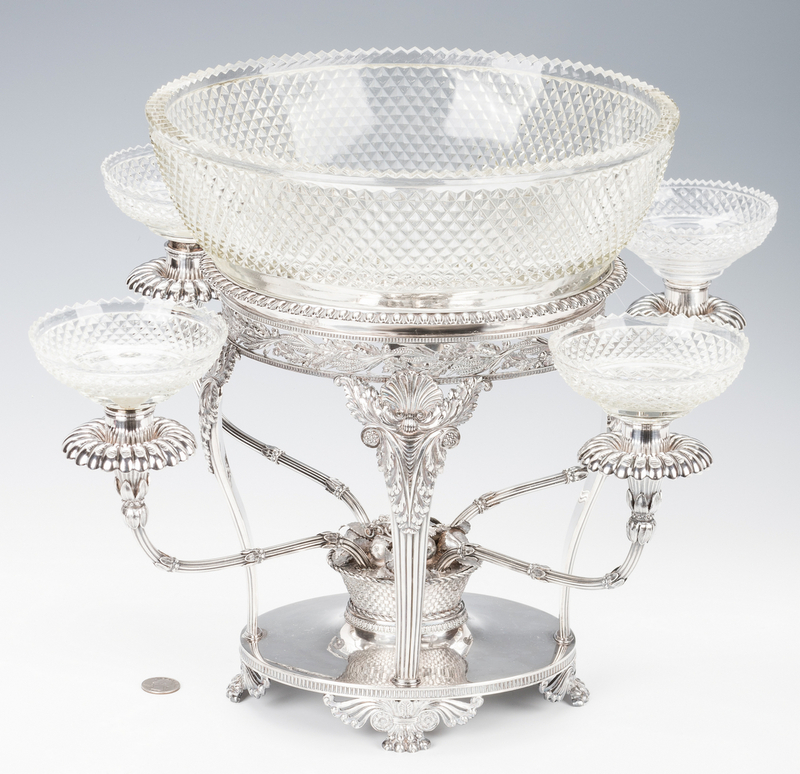 CONDITION: Epergne and glass bowls, overall very good condition. Old repair to stem of one arm. 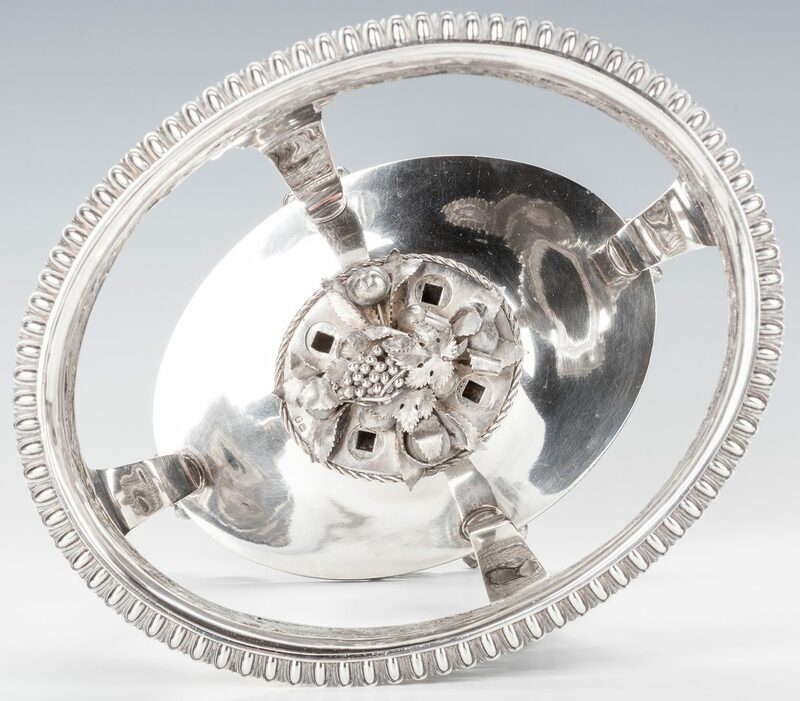 One petal missing to one arm closest to center basket.